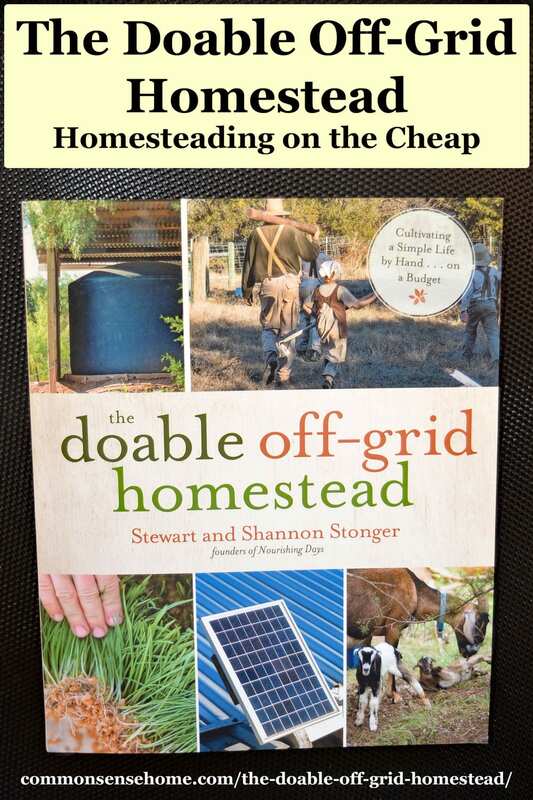 The Doable Off-Grid Homestead by Stewart and Shannon Stonger gives the reader a taste of off grid life on a tight budget. When they say “off grid”, they mean it. They have no grid electricity, no well or conventional running water. They share their mistakes as well as their successes. If you have a determination to get back to the land, but little money to follow your dream, this book may be a good resource for you. When the Stongers began their homesteading journey, they started out with raw land, so everything had to be built. Their book shares their experience creating a humble but functional homestead in less then welcoming conditions. Their chapters on rainwater harvesting and using solar energy provide the basic information for new homesteaders. I also appreciate their emphasis on the value of animals for enriching a homestead. They don't just talk about the main animals products such as meat and eggs, but also their manure and using them for cultivation and land maintenance. They share some of their favorite garden varieties that do well in their Texas climate. There are also many projects in the book to make off-grid homestead life easier. There were many instances where I felt the authors were sharing what they had read or heard instead of what they personally knew from experience. Phrases like “some people say”, “theoretically”, and “is supposed to” littered the text. I'd like to have an updated version of the book published in 10-20 years, when they can hopefully speak with more authority and confidence in their knowledge. Some more project photos would also be welcome. Not everyone is cut out for the low budget, off-grid homestead lifestyle. I think the Stongers summarize it well when they say, “Do not try to cram how you used to live on-grid into the off-grid world you now inhabit. It doesn't fit, and you will make yourself miserable trying to get there.” This book presents a humble life of hard work and dedication. For those who are up to the challenge, it can be a good life. 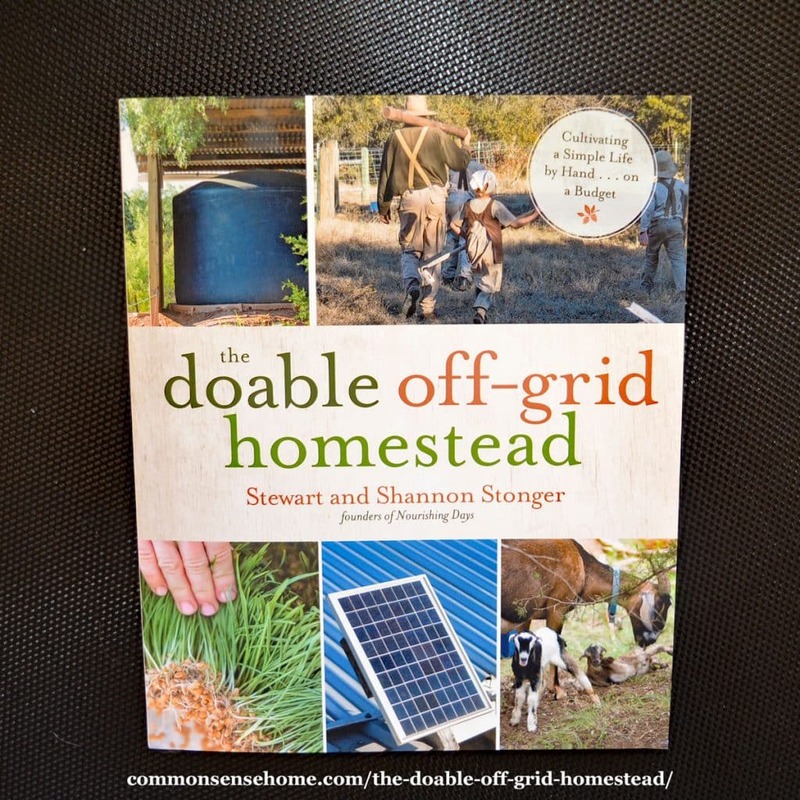 If you are short on cash and dream of your own homestead, check out The Doable Off-Grid Homestead. We also have dozens of homesteading articles on the site, listed by category on the Homesteading Index page.